Current: Victoria: Let’s Talk CP! 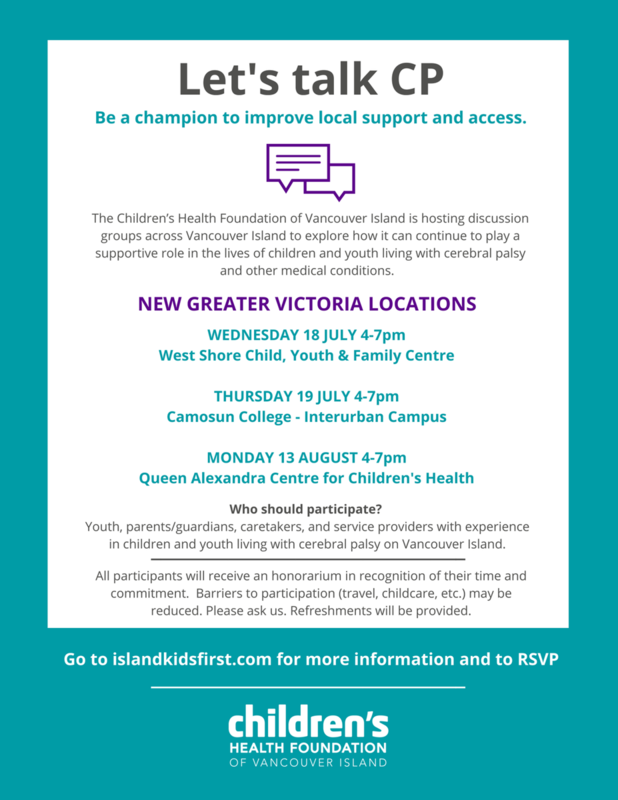 The Children's Health Association of Vancouver Island continues to host discussion groups across Vancouver Island about how they can continue to support children and youth living with cerebral palsy. Go to islandkidsfirst.com for more information and to RSVP.